It’s an interesting time for energy in Chicago: Coal plants providing power to the city have been shuttered. Massive programs are underway to retrofit old buildings. Smart streetlights and electric buses will soon transform neighborhoods. Chris Wheat, the city’s chief sustainability officer, is at the center of it all. Previously a member of Mayor Rahm Emanuel’s innovation team, Wheat was tapped as the sustainability chief after the departure of Karen Weigert in February 2016. He’s long championed the use of data and analytics to help manage city government, and he’s now tasked with applying that to the city’s ambitious sustainability plans. Wheat led the Retrofit Chicago Residential Partnership, a program to advance efficiency for residential properties. 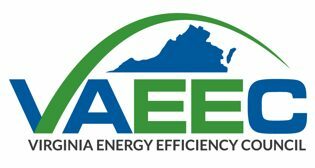 The initiative won the Energy Star Partner of the Year Award from the Environmental Protection Agency and the Department of Energy for promoting efficiency measures in 2017.